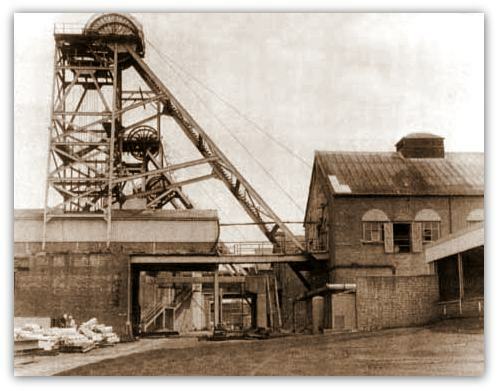 I am researching the Bentinck (Kirkby-In-Ashfield) mining disaster that occurred in 1915. My great-grandfather (Harold Shelton) was one of the survivors. I would be grateful for any accounts, pictures or background relating to the disaster. The colliery was the property of New Hucknall Colliery Company, Limited and the accident occurred in the No.2 winding shaft when the cages collided when fourteen men were descending to work and two others were ascending at the end of their shift. Ten lives were lost and six others were injured. The No.2 shaft was 440 yards to the Low Main Seam mouthing and after being sunk to than seam in 1895, it was deepened to the Blackshale Coal Seam at 500 yards the following year. The Blackshale seam was worked for only five years and abandoned in 1901. The water rose in the shaft to a considerable height above the Blackshale mouthing when it was abandoned. The shaft was 14 feet in diameter, though parts near the surface and between the meetings were a foot wider. It was fitted with two double decked cages 9 feet 3 inches by 3 feet 6 inches, each carried on six chains coupled to a detaching hook and a steel winding rope four and half inches in circumference. The clearance in the shaft between the projections on the cages was about 11 inches. Men were carried on the lower decks only, both of which were fenced by iron gates which opened outwards. Each cage ran on three wire rope conductors, two on the outer side and one on the inner, clamped underneath by string timbers at the Low Main inset and tightened in the headgear by screw bolts on helical springs. The cages were guided up and down the conductors in the shaft by brass lined thimbles fitted in six brackets attached to each cage. Originally the conductors or guides were one and one eighth inch in diameter. They were installed in 1896 to the Blackshale, each being weighted at the bottom with about 4.5 tons of metal. With the exception of one conductor which was replaced in 1913, they remained as originally placed and showed considerable signs of wear. One in particular was found to have been reduced to 1 inch in diameter in some parts when it was taken out. It should be noted that after about eight years when the weights and lower parts became immersed in water, the conductors were secured by clamps under the strong timbers previously referred to. The weights had not been seen for five years and the management, in view of the insertion of the clamps, no longer relied upon them for tension. In addition to the wire conductors, the pit top and pit bottom were fitted with wooden guides or spears for a short distance. The cages were operated by a pair of large winding engines, fitted with an automatic contrivance to prevent overwinding. The speed of the winding was said to have been normal, 440 yards in about 55 seconds. The pit top was enclosed by an airlock, the wooden erection forming the enclosure being carried up nearly to the pulleys. The entrance to the shaft was gained by a porch fitted with double doors at the landing level. When the accident happened a terrible bang in the shaft was heard both by the banksman and the onsetter. Lamps and parts of the cages fell into the bottom along with some of the men. The winding engines were quickly stopped and the cages remained suspended on the ropes and the conductors retained their position though they were found to be slack. Seven men had been knocked out of the descending cage and killed, leaving two dead men and five injured inside the cage. The two men in the ascending cage were also inured, though not dangerously. "The first inkling I had that anything was the matter was when a vivid flash lit up the shaft. Then came the tilting of the cage and the iron door by which we enter was flung open and several men standing on that side jerked out, while the next moment part of the floor was torn away and a number of others fell through. I happened to have my feet on a piece of flooring, which, although shaky, did not give way and I clung like grim death to the hand railing until it snapped. Then I clutched a piece of the iron framework to which I held on for two hours until the cage was lowered to the bottom. I was the only one of the six men left in the cage who was able to speak and I returned answers to the shouts of the night men who were in the cage above. My feet were pinned down in the ironwork but I managed to get them out myself and to give water to one poor fellow who we found half hanging out of the cage. Every moment I expected to fall and how it came about that a narrow piece of flooring left after the collision did not break away, I am at a loss to explain. When we got out two of our party were dead."